SEO Over-Optimization - Can You Have Too Much SEO? We've all heard about how you can over-optimize for the almighty search engines in the name of SEO. Some people have said that you really can't optimize too much for search engines. Actually, too much SEO is bad for your SEO. Many people won't even touch optimizing for search engines. Oftentimes, this is from a fear of putting a bunch of content out there which doesn't get a lot of traffic or any leads that convert. Some people feel it’s too stressful to consistently put out useful content. Many people start and give up after a bit if it goes nowhere. So, you want to have some SEO. But, it is possible to go too far. Believe it or not, you have to consider the possibility of taking on far too much traffic or leads. In fact, it's possible to over-commit to a content strategy. Even if the leads flow in like honey, that new traffic doesn’t always actually help your business. How can that be? Consider the following example. One of the worst case scenarios of biting off more than one can chew in SEO is something that a LinkedIn connection of mine once shared. It's an interesting story of how one CEO cut ties with an SEO firm and decided to do the SEO himself instead. Interestingly enough, he did wonderfully on his own and website traffic boomed. So did the amount of incoming leads. However, he became so addicted to his success that the rest of his business suffered as a result. His company’s customer service badly declined because of the lack of ability to handle all of the incoming traffic. In response, he took down about 150 pages off of his website. This action cut the amount of incoming leads in half. After rededicating himself and his company to customer service, so they could actually focus more effectively on the leads they received, they righted the ship. So, you have to put customer service before bringing in new business. You need to pick your clients carefully, and you’re your leads are potential and actual customers, and not to be treated as commodities. These are all fantastic points, and so you should not let this article discourage you from doing SEO at all. You should just take into consideration the fact that you can go way overboard. So, I decided to create the ABC's of How to Avoid Over-Optimization: Authenticity, Being Ready, and Customer Service. The number one thing to consider about Search Engine Optimization is being authentic. Don't simply post a ton of content to make you sound like the best thing in the whole world. It's important to be personal and aim to make one-on-one connections with people is far more effective. You don't want to go out there with an SEO campaign that makes you sound like you're just trying to rank for keywords and come up number one on Google. Chances are with this strategy that you'll turn off some of the people you're looking for. Most of the leads you may end up with could be mostly unqualified and are just pinging your site out of simple curiosity. Not all organic search traffic is created equal. When it comes to SEO over-optimization, Google and other search engines could penalize your website quite harshly for overusing keyword phrases that don't flow naturally. You need to create authentic content, first and foremost, before anything else. You also want to show personality and style in your writing, on top of giving some useful tidbits of information. 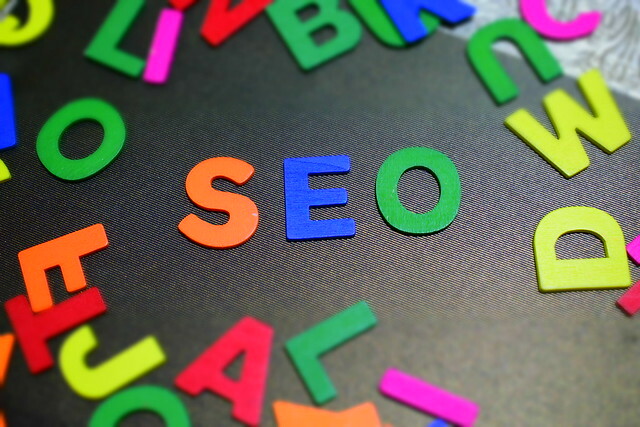 Good SEO might help you get visitors. But people are far more willing to actually engage with your content and contact you if you offered them some piece of useful information. Searchers really like when they can find an answer to a question that they were researching the answer for and found you. They also want to feel like it was a real person giving them that information in a friendly and straightforward manner. This goes back to the point of leads being customers, not commodities. While obviously you want that conversion rate to be high, it's very, very possible to become overzealous and take on far more than you can chew. It's easy to become too focused on the raw number of leads from SEO versus the number of visitors to a given page. If you find yourself getting a ton of leads, you have to be sure you can qualify them and convert them into sales without taking away too much from your current customers. While being aggressive with content can be OK if you know you're ready to take on the new business, you have to be 100% certain that you're ready for a potential barrage of leads. In some cases, you may be able to grow with it. But you may not be ready to nurture 1,000 incoming leads. It takes time to be able to serve the 5 or 10 percent or so of those that are qualified, while also serving your existing customer base as well as you have in the past. Take it slowly and be sure you're only getting the most qualified leads that you possibly can. In any case, be ready to take on new business at all times. You never know just what piece of content will serve you hundreds or even thousands of potential new customers. It's also important to understand that with ranking highly on search engines through SEO, you'll get noticeably more spam. You need to be ready to accept that just because you have a high conversion rate on the web stat side of things, that it's the real customers that you get giving you the real value. In the end it's who you connect with that matters. Good content marketers and SEO specialists will tell you that, not just that you're all set ranking 1st, 2nd, or 3rd on Google for high-volume searches. Every business is in the customer service business, and it is true today more than ever. This actually works hand-in-hand with Being Ready. If you spend all of your time chasing down new leads, chances are that could alienate some of your existing customers if they feel that their loyalty to you is less important than your incoming traffic. That's what happened to that law firm in the article mentioned earlier. If customer service begins to suffer, you have to consider why that is. You have to be ready and able to handle what leads you get while still giving your current customer base the same attention that they expect and deserve. Of course, there are considerations that you can make to hire extra help if the need arises. But as with anything, you can get carried away. I'm glad that CEO learned from his mistakes, even if it was unfortunately the hard way. The best kind of content to create is content that is not only aimed at new prospects, but also created for your current customer base. Your current customers are quite a valuable resource for content. It's actually a great idea to ask your customers what questions they would like answered. Chances are people looking for your services will want those same answers, and you'll possibly get more sales out of your current customers, or generate referrals from offering those answers. Providing offers at the end of blog posts is fine, as long as you don't make them only for new customers. It's fine to have offers on your website, but also make an offer that can work for anyone. This way if an offer is being used, it means those using it had to find out about it on your website, meaning your content is being read and is effective. It's important to put out great content on a regular basis, but be authentic and be wary of going overboard. If you're careful with your keyword strategy and focus only on your ideal customers and what they're looking for, chances are you'll be okay. Just don't go looking for exposure simply for the sake of exposure. You may get it, and it might be overwhelming in a good way. As with anything, moderate your content and schedule it out. Definitely don't overdo your SEO, either. While this might spike your website traffic in the short term, it will hurt you more than it will help your future lead generation from your site. While spikes in growth do happen, if you're going to encourage it, be authentic. If you get a barrage of leads and you can't provide top-notch customer service, then take a step back for a moment and consider your options. The worst thing is to get lots of growth and then panic and cut out a huge chunk of your content. While it can help you rebound, if you were getting all that traffic, you need to consider simply how to manage that great content better. Here's something for CEO’s and marketing managers out there to consider: it's not often a bad idea to let someone else handle your SEO work for you. Focus on your customers first. After all, that's the whole point of search engine optimization, making new and loyal customers. Make sure you're ready for them. And whatever you do, make sure whoever helps you understands the difference between creating great SEO content and simply doing SEO just for the sake of pushing for high rankings.